Martin Hammond trained in photography at the University of the Arts London, before moving over to TV, where he now works as a Producer. 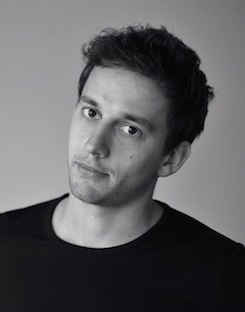 He is currently working on the Channel 4 comedy series Rude Tube at October Films, where he also regularly contributes to the creative development of future productions. Growing up, Martin was always rather mischievous. Whether by hiding fish entrails in the air-conditioning unit of the girls changing room, locking the head of science in a cupboard, or baking laxative-filled cakes for the school fayre; provoking laughter was always high on the agenda - even if it was just his own. Now almost 30 and still not a proper grown up, Martin is hoping to continue making other people laugh with his first spoof-letter book, Ask a Silly Question. Following yesterday’s Daily Deal, prankster Frederick Facedass’s hilarious Ask a Silly Question is up to #67 in the Kindle chart. Sabotage Times has run a second extract from the hilarious Ask A Silly Question, by timewaster Frederick Facedass. 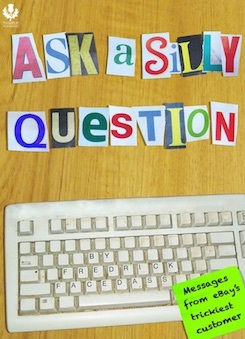 The hilarious Ask a Silly Question, written by eBay timewaster Frederick Facedass (aka comedy writer Martin Hammond), has just been released by Thistle Publishing. An extract is published today in the Sabotage Times.